S.J. 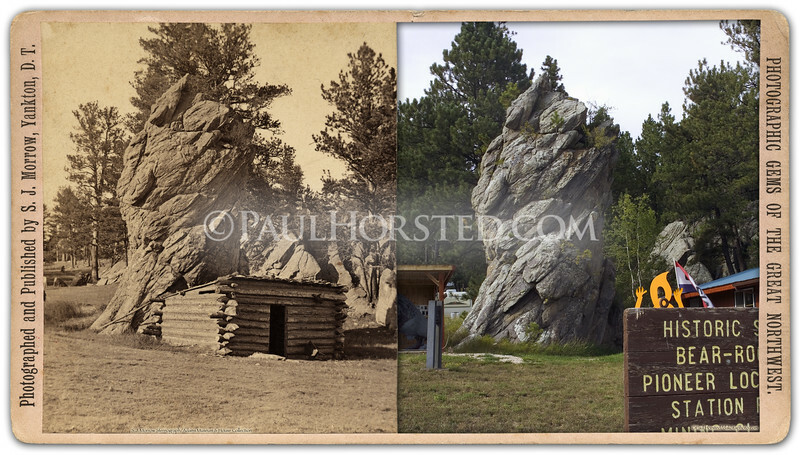 Morrow view, probably taken in 1876, showing "Bear Rock", which is on the west side of Custer, S.D. (north side or road). Now the site of an art and framing studio. Historic image courtesy Adams Museum & House. ©Paul Horsted, All Rights Reserved.